Lisa Appignanesi is the new Chair of the RSL Council. She has been President of English PEN and Chair of the Freud Museum London. Her most recent non fictions include Mad, Bad and Sad: A History of Women and the Mind Doctors; All About Love: Anatomy of an Unruly Emotion; and Trials of Passion: Crimes in the Name of Love and Madness. She is also the author of the acclaimed family memoir, Losing the Dead and of novels and thrillers. As I write this, I’m thinking about the great dramatist Arnold Wesker who sadly died on 12 April 2016. Like me, he loved discussing books and also arguing: it’s something his characters engage in with zest and brio. 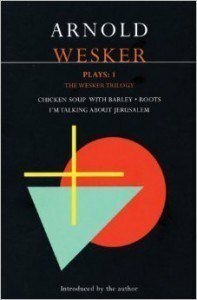 The so-called Wesker Trilogy - Chicken Soup with Barley, Roots, I’m Talking about Jerusalem - with its panoply of working class and East End characters, their strong women and often optimistic men take us into a rich world where ideas emerge from character and sometimes defeat it. 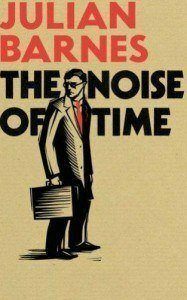 Julian Barnes brilliant The Noise of Time, his portrait of an artist living under dictatorship takes us back into the terror-filled politics of Stalin’s Soviet Union. What constitutes courage in such times? What are the various forms of corruption power can induce. This is a book to linger over and savour. 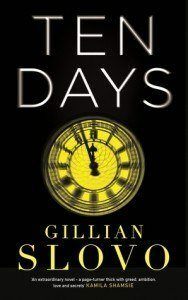 If you prefer your politics contemporary and written by a master of thriller pace, who has also made verbatim theatre unmissable, then Gillian Slovo’s Ten Days will take you into the heart of the 2011 riots, life on a sink estate, race tension and politicians’ ploys as they try to blame the police for just about everything. This is a book that’s impossible to put down. It will have you debating for weeks. Finally a murder with a difference - for those who like their fiction stylistically adventurous. 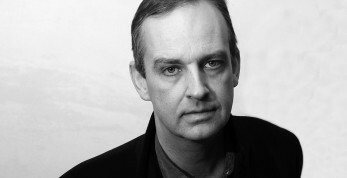 Adam Thirwell’s Lurid & Cute is bound to divide any group, as it did the critics. In a voice of Candide-like innocence (though it can translate Proust and more), Thirlwell plays with rites of (marital) passage, the virtue of lies, and the pitfalls of contemporary urban culture.